After visiting the zoo last week, I was inspired to draw animals and play some Lego Jurassic World. 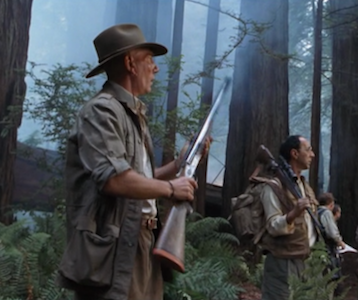 I've been thinking about the characters of Roland Tembo, Robert Muldoon, and the other hunters in the films. They reminded me of the safari memoirs of F. C. Selous, A Hunter's Wanderings in Africa. I'm only halfway through his book, but it's fascinating to join them on the game trail where they encounter many beautiful species of animals, witness amazing places like Victoria Falls, and sleep under the stars. 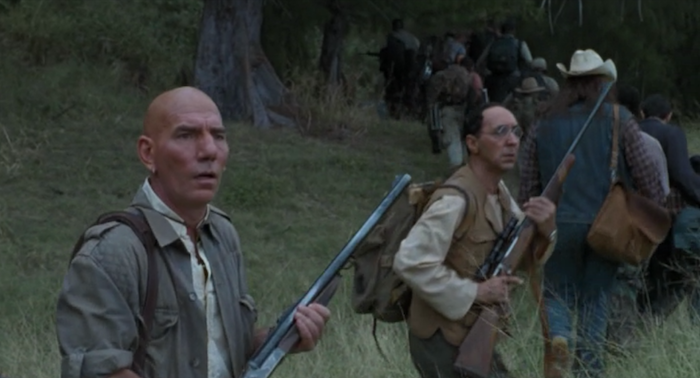 Thinking on this, I read back through the script for The Lost World and found that it includes more hunting and tracking scenes than the final film did. According to the script, Tembo is a hunter while his friend Ajay is a tracker. Wait, hunting and tracking are not the same? Roland is down on the ground with Ajay, staring at an enormous, very deep three-toed track... AJAY, Roland's tracker, studies the rex's trail. It goes sideways, bisecting the game trail. 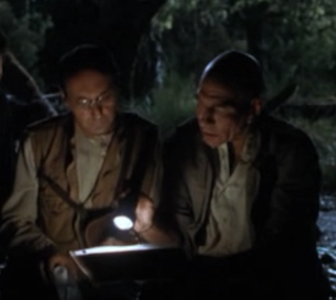 AJAY: He sprang from the foliage. Picked off a calf - - that's this smaller set of tracks that disappears. Then carried it back into the bush. That way. Roland gets up and goes to his jeep. At the back, he opens a wood and leather case, revealing his gun. It's an antique elephant gun... He and Ajay head into the bush... Ajay takes a step into the bush, but at a ninety degree angle away from the direction in which the animal tracks lead. Ajay turns. Roland points in the direction in which the footprint leads. ROLAND: (cont'd) I'm no tracker, but even I can read this spoor. AJAY: Do you wish to go where the animal has been, or where the animal is? Roland smiles and follows Ajay as he sets off in his chosen direction. 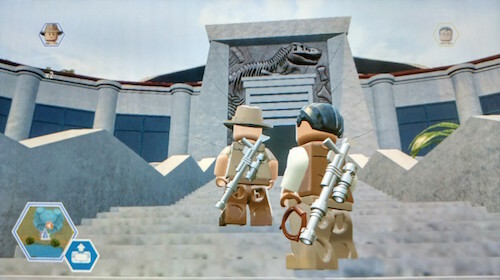 Here are a few screenshots of Roland and Ajay from The Lost World: Jurassic Park so you can recognize them, too.